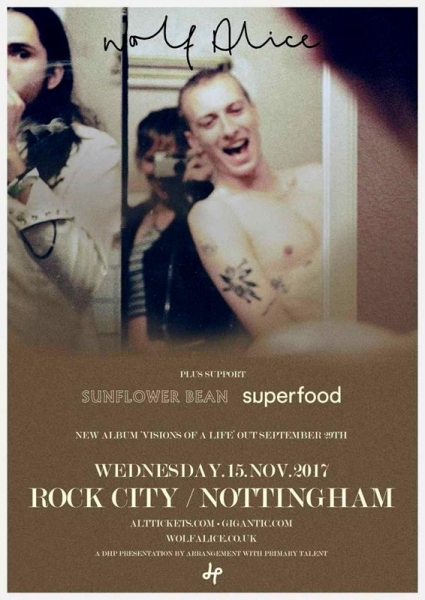 Wolf Alice performing their Visions Of A Life Tour at Rock City Nottingham on Wednesday 15th November 2017. 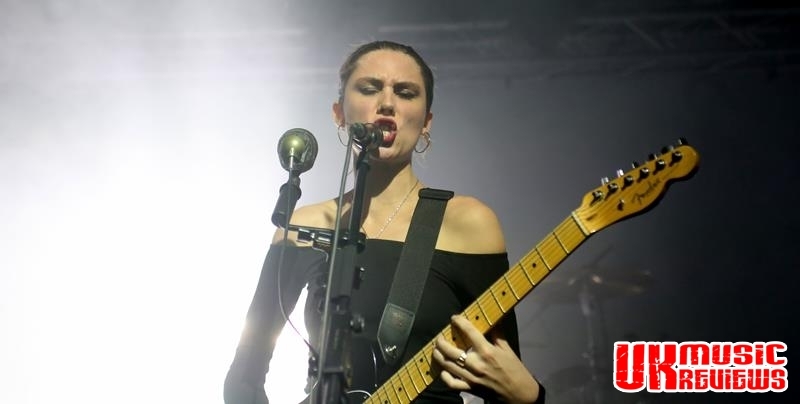 Wolf Alice are currently on a headline tour supporting their latest album, Visions Of A Life and last night they showcased it to a packed Rock City. They initially formed as a folk led acoustic duo in 2010 after seeing an advert in a music paper, and soon after they recruited two more members before finally releasing their debut album, My Love Is Cool in 2015. The recognition that they so richly deserve quickly followed with a Mercury Prize. 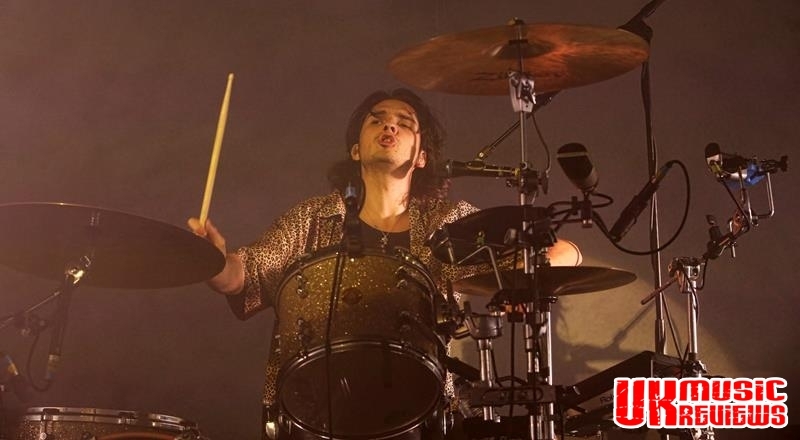 Grammy and Brit nominations followed so too did the NME award for the Best Live Band and last night it was easy to see why. 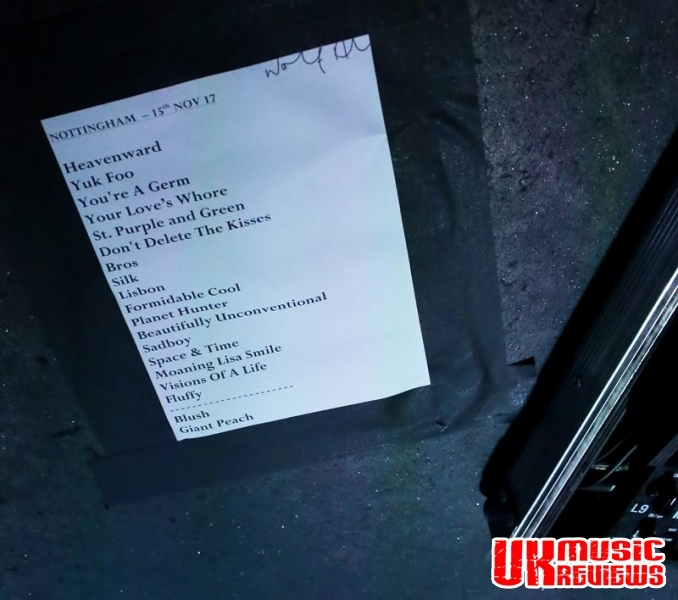 As the four piece band hit the stage, they immediately set the tone for the evening ahead with a pair of tracks from their latest offering. Kicking off with their incredible single, Heavenward, they had the audience eating out of the palms of their hands. 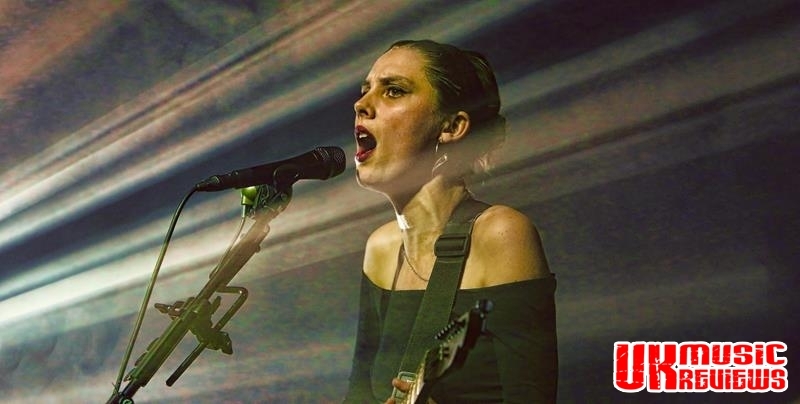 Following up with Yuk Foo which found front woman Ellie Rowsell’s versatile vocals working overtime, as she snarled, screamed and grunted out the rage filled vocals to the crowd’s delight. 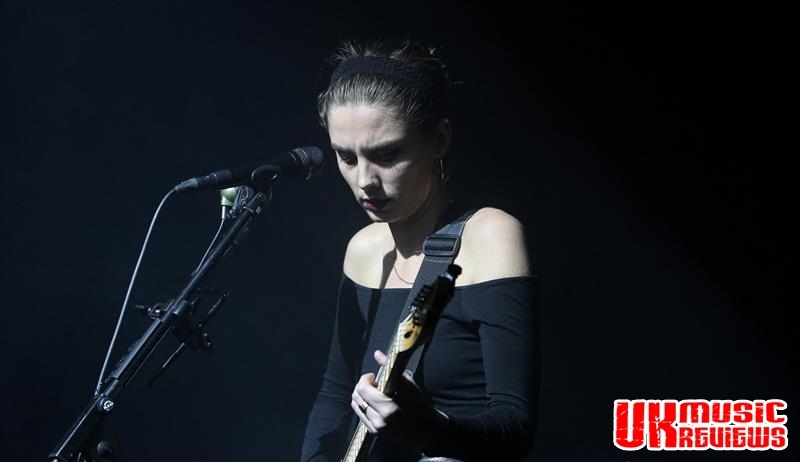 With her previous image of a slightly posh girl next door, last night saw a massive change to Rowsell with her vampish tight black attire and dark brooding looks, but it was their music that this audience had come to hear. 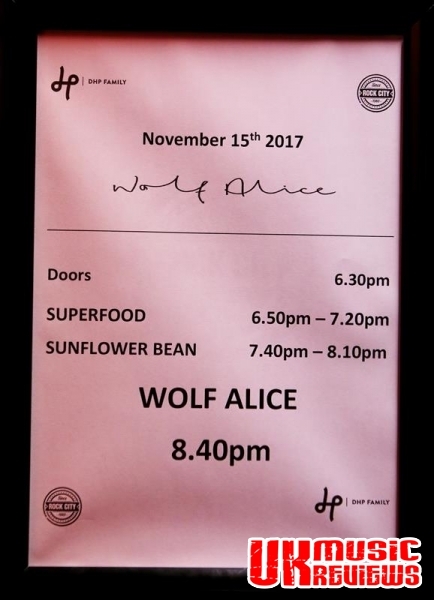 And as the show continued with a whirlwind of lights and energy, there was not much chat between the songs from Rowsell and her band mates, guitarist Joff Oddie, bass player Theo Ellis and drummer Joel Amey, but it did not matter as the band excelled on stage and were happy to keep the music coming. 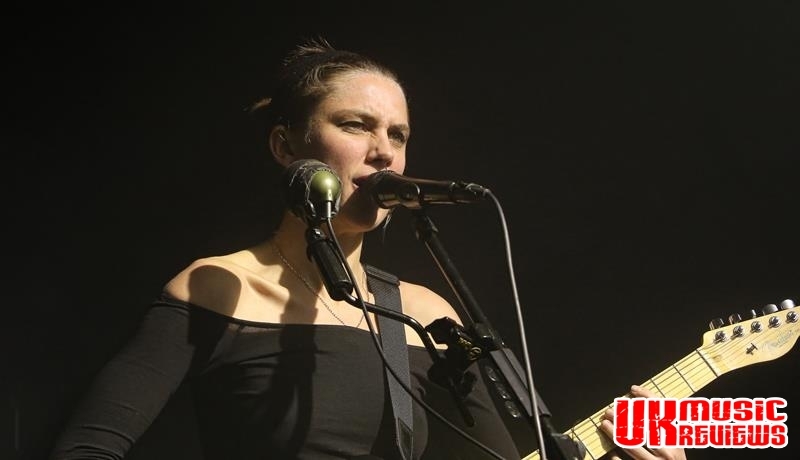 Live favourite You’re A Germ came early in the set whilst Rowsell showcased her phenomenal vocal range during the slower delicate moments on St Purple And Green and the beautiful Planet Hunter. 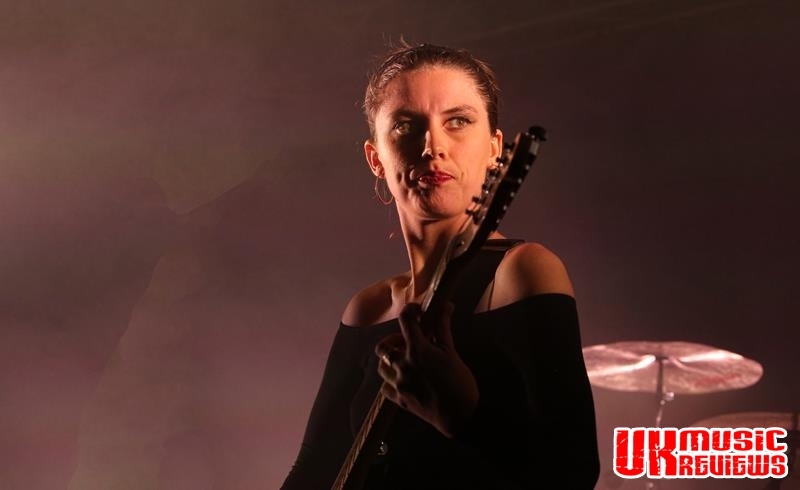 The crowd lapped up the band’s grungy rocking numbers like the fuzz fuelled Lisbon, the hypnotic Formidable Cool and Space And Time with its hard hitting rhythm. 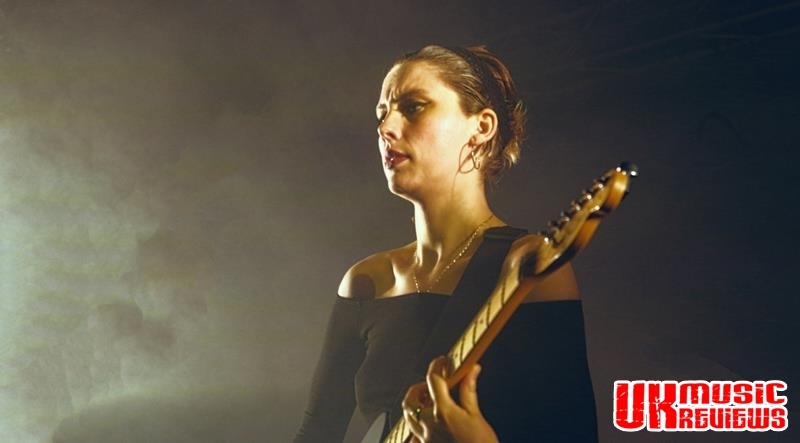 There was a real infectious quality to Wolf Alice’s brand of alternative rock, none more so than with the bands Grammy nominated single Moaning Lisa Smile, with its raw energy and heavy riffs that sent their fans over the top. Visions Of A Life was truly one of the standout moments before their set closer Fluffy got the mosh pit going. 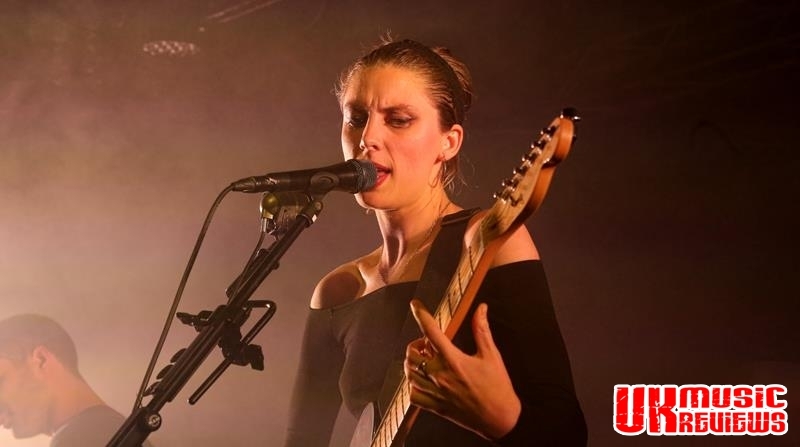 Returning to the stage for a duly deserved encore, Wolf Alice went back to the start of their career with Blush from their debut EP of the same name, before rounding off the night with their frantic fan favourite, Giant Peach. On last night’s evidence they are at the top of their game and thoroughly deserve their reputation as a thrilling live band. They continue to go from strength to strength and there was certainly no second album slump here. 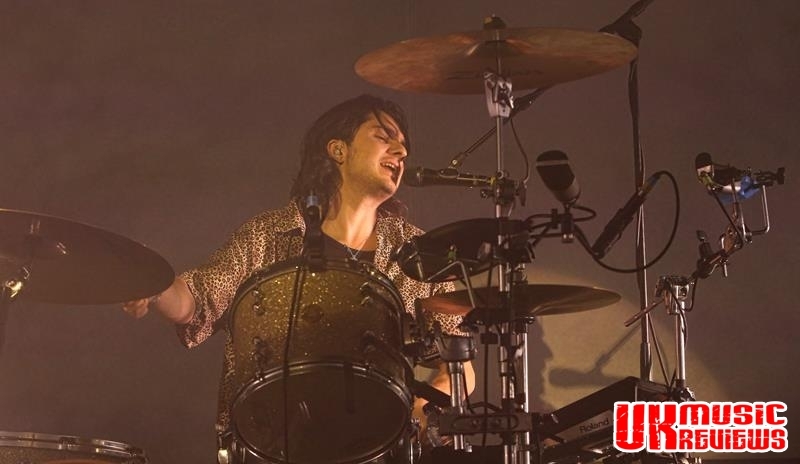 They are firmly establishing themselves as one of the most exciting British alternative rock bands to emerge in recent times and there is no limit as to where they can go. 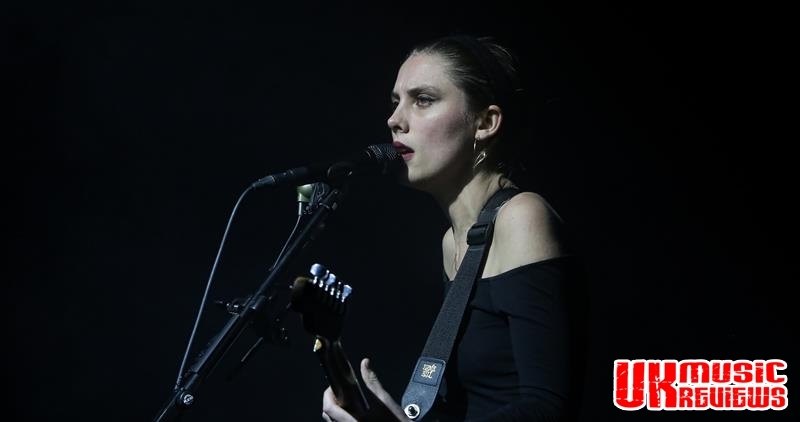 It’s Ellie Rowsell and Joel Amey. Jeez, can’t you get the most basic things correct? Thanks for pointing this out, we are all human and make mistakes! Will correct this now.